The watch on your wrist is one of the most important accessories of your style, or may I say, THE most important one. If you care about your style your watch strap or bracelet must be as important as your ticker. From the first Swiss wristwatch made in 1868 by Patek Philippe for Comtesse Koscowicz of Hungary, the world had changed a lot, but we have been wearing our timepieces on bracelets as she was and of course, we had some upgrades since then. 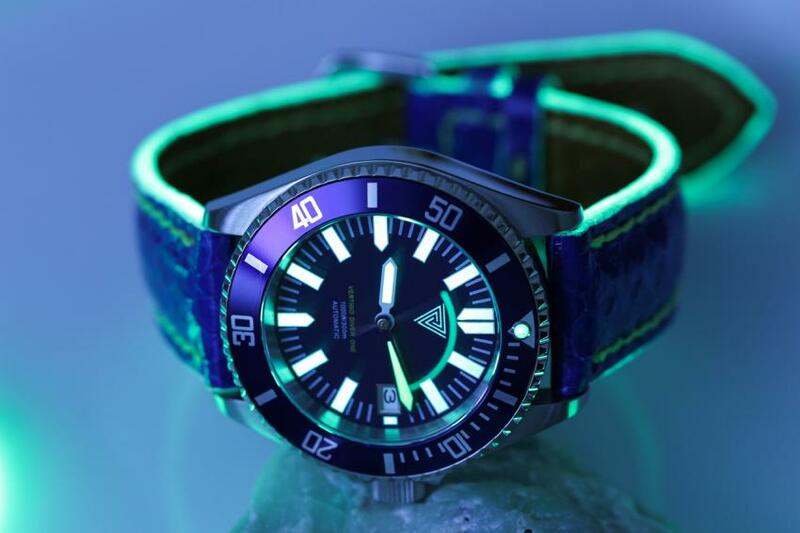 For sports activities we have rubber or silicon straps, some prefer NATO straps made of plastic fabric, but for everyday use and when your style and look becomes important or you want to be elegant, the fine leather straps will save the day and steal the show. At the beginning there was darkness and silence all across the watch world — black and brown leather straps ruled the wrists. 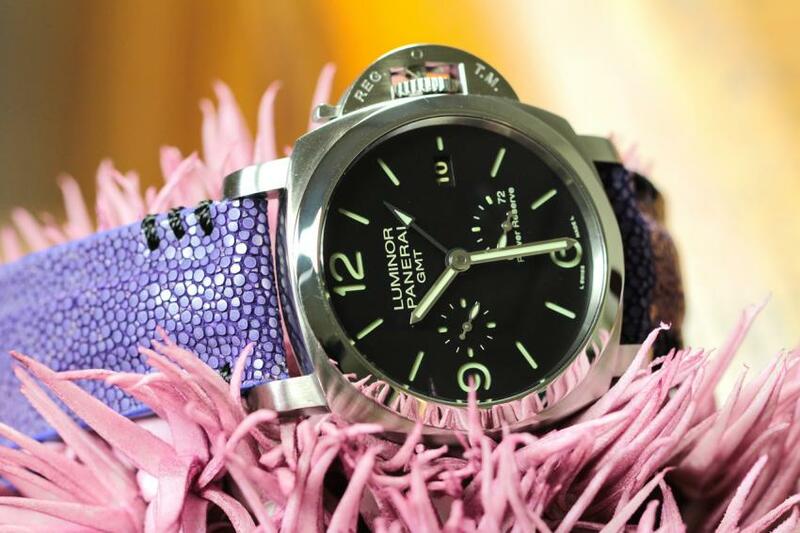 Then came Officine Panerai and a whole bunch of crazy Paneristis with their aftermarket, handmade, colourful, bespoke leather straps, in nearly as many variations as Panerai reference numbers exist. Some, like Audemars Piguet, have joined the game, but most of the big players, like Rolex, Patek Philippe, Omega, Vacheron Constantin and many others, left aftermarket craftsmen to do the job instead of them. You can hate it or you can love it, but you cannot avoid it, some high-prestige brands like Hublot and Richard Millé exploded into the market with their crazy cool straps. For me and as I see, for anyone who has a unique personality, the choice of leather strap plays an important role in personalizing our style, our look and especially it gives us the chance to have a unique, great looking watch. Do not worry about what the haters will say. My ars poetica is „what you like is good for you” — if you like the way your crazy wrist combo looks, go for it and make dreams come true. It is also an affordable way to upgrade your watch game. I sat down with Tamás, a Hungarian watch strap maker, known online as @679Straps, to ask him a few questions about his craft. Why leather straps? Why is it good to wear my watch on that? The answer is simple. 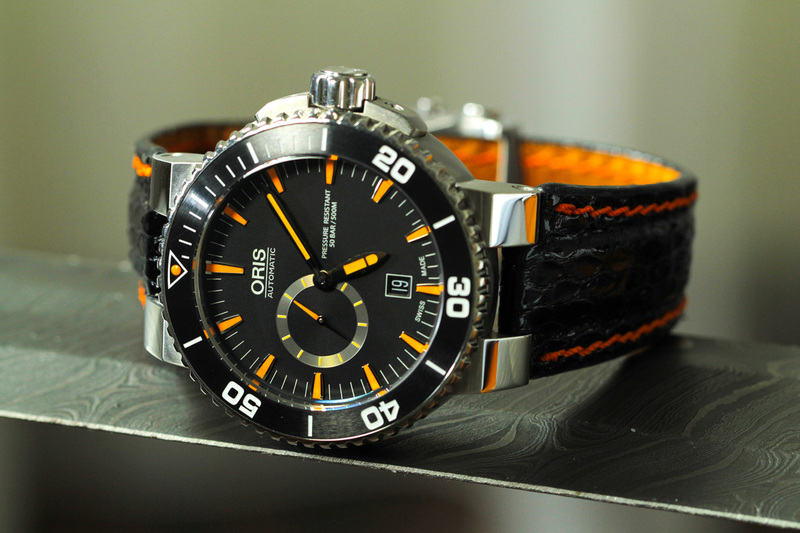 The leather is elegant, comfortable and you just have a good style wearing a fine leather strap. It’s so bad when you wear your luxury timepiece on a bad quality silicon strap. It’s interesting, but in fact, the idea was “just” a residue of an older decision. I was studying at the university to become an industrial designer, but it was not what I wanted. After a while, I switched to engineering and I have decided my thesis would be an automatic watch. I thought that it would be cool if my watch would be presented on a strap made by my own hands, so I learned to sew and treat the skins. Unfortunately, my own watch was not made (yet), but my commitment to strap-making has survived. When it all start exactly? Two and a half years ago, which is not a long time, but my art studies at the university gave me a solid foundation, and now, since 30-or-so years, I’m quite good with my hands. The 679 Straps website was launched in 2015. Is this a difficult trade? At the beginning, yes. Most of my friends even tried to dissuade me because I hadn’t had any formal training strap making. I did not have any tools, no experience, but neither had any limits or borders to my imagination that comes with a formal training. What should we know about the different leather types? Every hide is different a bit and you have to treat them differently as well. Snakeskin is so thin and fragile that it is almost useless without a carrier. Stingray is so hard that it can hardly be cut. Lizard and fish are rigid and thick, they are harder to deal with, but they are more suited to withstand the heavy wear of everydays. What do you mean „carrier”? Almost all the straps I make have cowhide carrier. I usually cover the carrier with the selected exotic skin than. It is necessary to make the strap more durable, more comfortable and more manageable, and most of the special leathers would not be usable as a strap without it, they would break or crack. There are some exceptions like a good alligator, crocodile or kangaroo leather, from those hides I can create straps without a carrier. 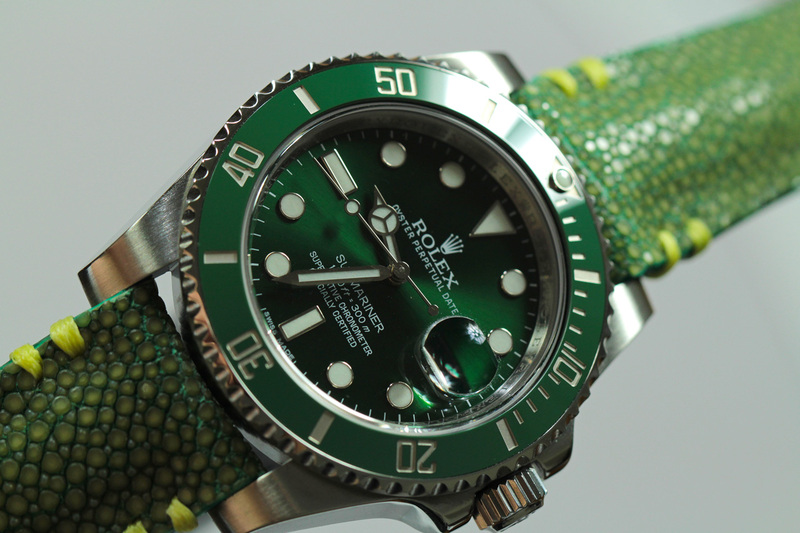 Why is it better to have an exotic snake leather strap than a traditional cowhide strap? Not necessarily better, but definitely more special, it will be an eye catcher for sure. 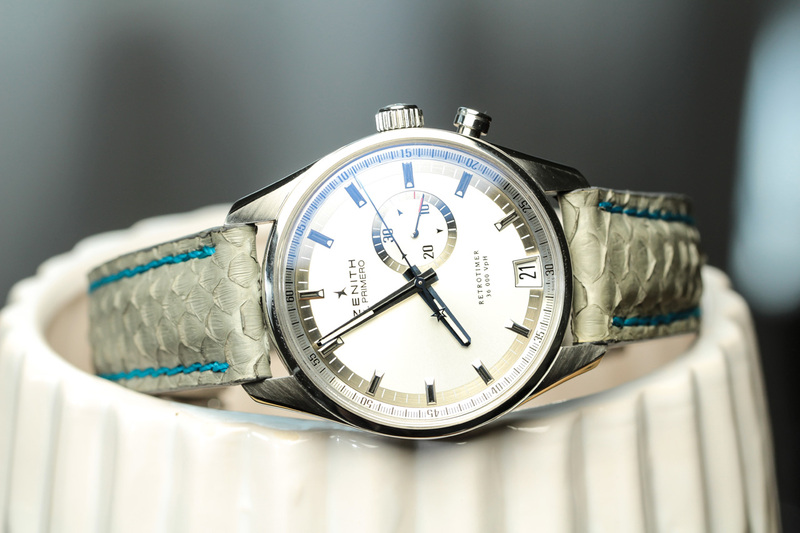 If you have an old, classic, or a smaller, more affordable watch, but you show it to the world as worn on a blue snake hide, everyone will ask you what’s on your wrist, I am sure. What should we know about maintenance and the use of leather straps? How should we wear it? How resistant are they to perspiration, rain or water? They can be treated with general skin care products. Every strap in that leaves my workshop gets a beeswax layer so it is more resistant. But if it gets wet, it does not really matter, as the man’s hands dry, so the strap will too. What should we do if it gets wet? Just place it in the sun and let it dry. How are your straps made? Just in nutshell. The order comes with the exact dimensions and unique wishes. What kind of wishes can I have? You can determinate the type of leather, the colour, the kind of stitching, or the colour of the stitching. The strap can be embossed, means it can have a filling between the skin layers, or be completely flat, but the question is open to other unique wishes. Once everything is clarified, I can start with the cutting. To make a single strap, I need a piece of leather that is three times the size of the strap. This is followed by cutting it to the desired shape, getting rid of excesses, a small edge sanding to straighten thing out, then I polish and sharpen the edges with different polishing tools. If this is perfect, I can draw the line where the stitching will go and punch it. Most strap makers put the stitching on at this part and send the strap to the shelf with a substantial price tag. However, I start to treat the edges at this time again. I work directly with those dyes that can withstand stretching and do not break. This gives the band more protective coatings, which increases durability and improves its appearance. Then, the stitching comes, which is a difficult part, because there is a lot to ruin here. For me, however, this is the “best part”, because this is when I can turn my mind off and it makes me relaxed. After the stitching, there is a small individualization. The customer’s name and anything that he or she may ask for will be written with a laser engraving tool, so the customer is guaranteed to receive a strap that is unique. Finally, it ends with the punching of the holes. I also cover the inside edge of these holes with the edge protector and decorative paint I use for the edges of the strap. This is something that other manufacturers are not doing, although it does not cost much, it is more decorative and more durable than if the layers would remain open at the holes. I’ll package it and head to the post office. How long usually take you to make a strap? Depends on the leather type and the customer wishes but on average, 24 working hours. Are there any tricky parts that are particularly difficult or that is more time consuming, perhaps requires more attention or special technical knowledge or tools? Yes, there is and that is clearly the stitching. If you start at an incorrect angle, it might still be nice on the front, but if you turn it around, it will look like road marking done by a drunkard and cannot be corrected anymore. During the stitching, you need concentration, attention and patience the most. My motto is that each individual belt should be built with respect for the individual customer. 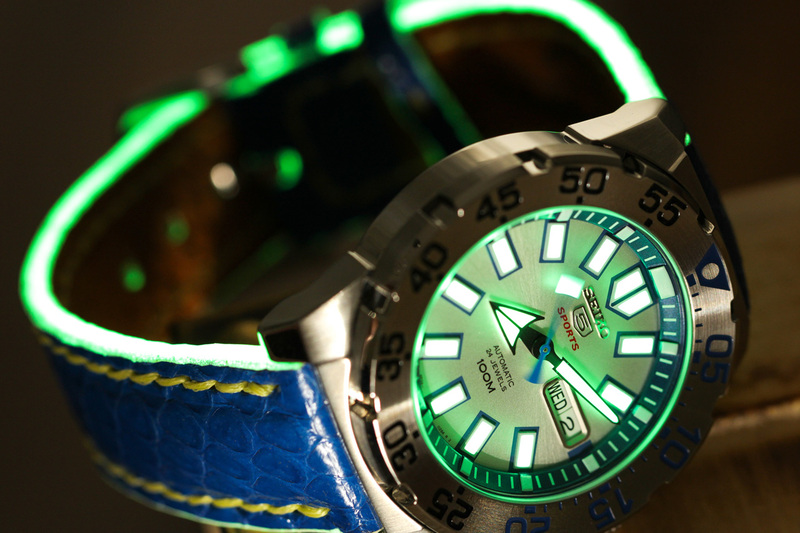 Tell us about your invention, the lume-edged straps. Ideas are popping up constantly, even now I have two-three original ideas, that was not seen on the market yet and I want to show it soon! I first shared the lume-edged idea with my consultant, who gave me a tip on what material could be used to make it, and the plan soon became reality. 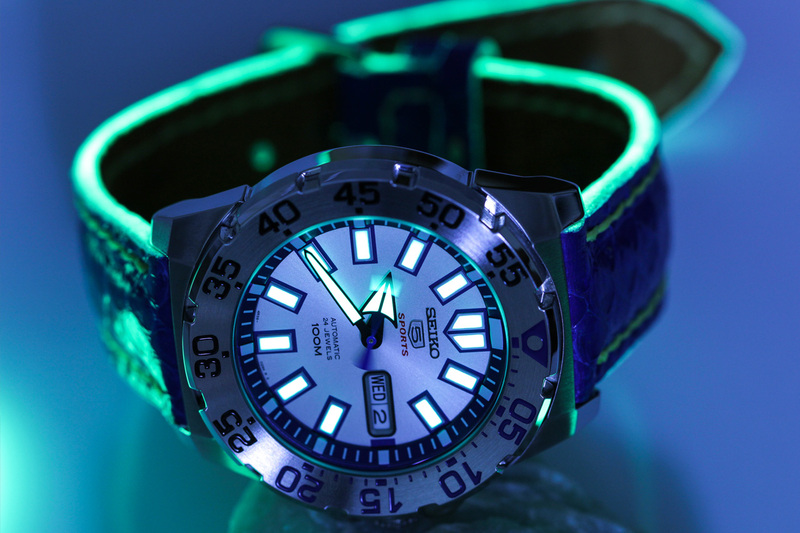 Without revealing any secrets, tell us something about how your lume-edged straps are made? Like the other straps, only the edges of these are shining in the dark. I won’t go into more details, it is a secret! To whom do you recommend your straps? Anyone and everybody! There is plenty of colour and material for everyone to find something suitable. I recommend wholeheartedly to everyone, who want to have a stylish appearance and for whom it is important to wear the work of a craftsman on their wrist. Do you have only domestic clients or foreigners too? Orders come from around the world. The World Wide Web and social media will take you wherever you want and take my straps to the four corners of the world. You’ll find me on Instagram and Facebook, and of course, I have a website. I don’t have a web shop where you just put something into the basket, it would just limit you, so I do not have one at least not yet. I consider my strength is that there are no limits if you order a strap from me, the customer’s wish is my master, so you need to pay attention and do the homework about what kind of straps you want, think about it a little and then let me know all of your wishes and let us discuss how should the ultimate dream watchband look like in the end. By the way, I have already made straps, in addition to Hungarians, for Canadian, Indonesian, Swiss, German, or even Singaporean customers. The postmen love me for sure. 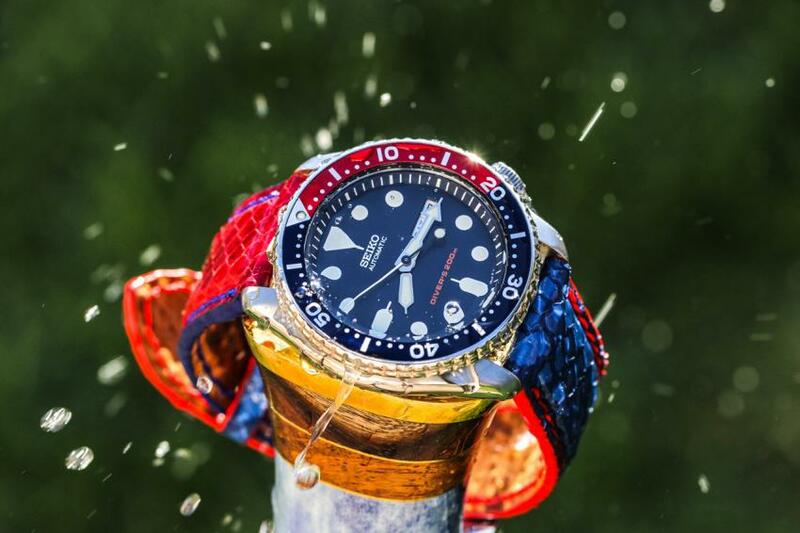 RetekG is a Hungarian watch lover, watch collector and crazy amateur watch photographer. Born to be a watch nerd, his grandmother bought him a Casio in 1986, and the rest is history. He’s a big fan of Panerai, Rolex, Audemars Piguet, Jaeger-LeCoultre and he also loves trying new microbrands as well as affordable brands with a cool quality, remaining faithful to his roots and his grandmother’s choice. Since 2016, he shares his watch photos on Instagram. His goal is to share his passion for watches and photography with anyone who likes this kind of madness and have fun with all the watch fans. This is why he founded the @ReWatchTeam on Instagram.